Nikola Tesla was born on July, 10th 1856 and died on January 7th 1943. 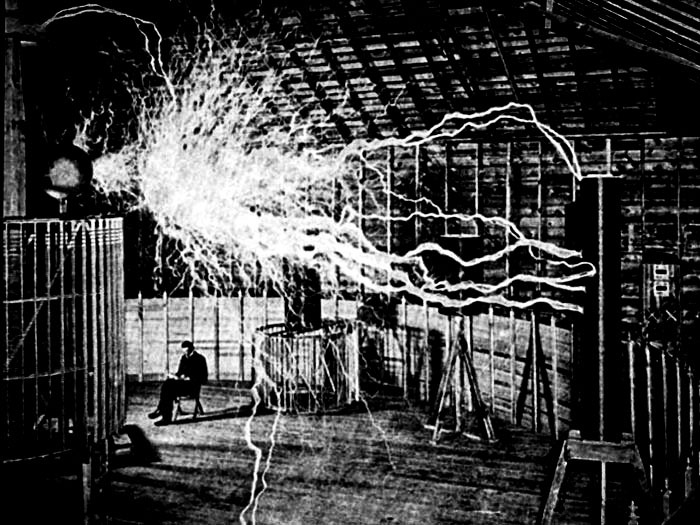 In light of Thomas Edison, Nikola Tesla was almost forgotten, but he was the true Master of Lightening. Nikola Tesla was a visionary genius of the 1st magnitude which history nearly overlooked as he was resented by Thomas Edison, Robbed by Marconi and George Westinghouse, and abandoned J. P. Morgan. Without the genius of Nikola Tesla the United States may have never grown into the super power it is today. Nikola Tesla was the first to harness the electric power potential of Niagara Falls. He also patented the technology for wireless communication which is still used to this day. Tesla made it possible to transmit electricity over vast distances without which, modern society as we have it today wouldn’t be possible. The man ended up broke and rejected while others built fortunes using his work and inventions. He also believed he could tap the suns energy with an antennae and also proposed a global wireless communication system back in the early 1900’s. He really wanted to use the wireless electric system to transmit industrial levels of electricity through the air as a way of creating a wireless electrical grid. He was really into the wireless power transmission idea. Due to technical difficulties requiring more and more investment capital, J.P. Morgan pulled his financing.